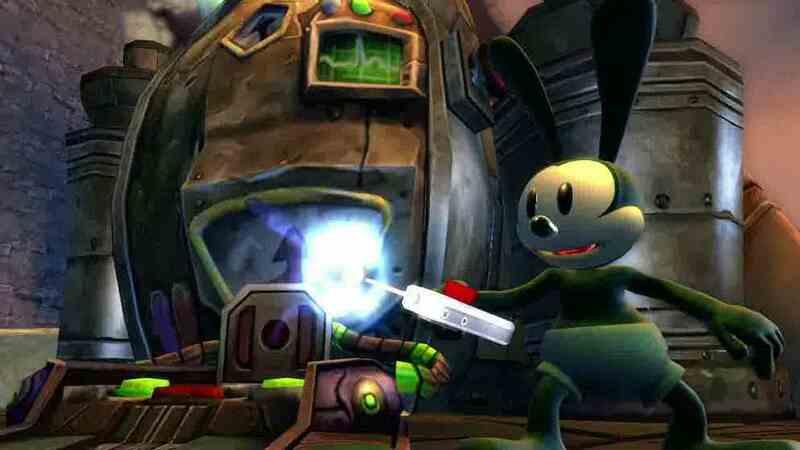 The PlayStation 3 version of Epic Mickey 2: The Power of Two supports PS Move, Disney has announced. The co-op adventure game, which stars Mickey Mouse and Oswald the Lucky Rabbit, launches in September 2012. Epic Mickey 2 is developed by Warren Spector and his Junction Point studio for the PS3, Xbox 360 and Wii. "As a life-long Disney fan, working with Mickey Mouse in the original Disney Epic Mickey was a truly humbling experience," Spector said. "Millions of fans fell in love with Mickey as a video game hero and I know they'll experience similar emotions when they get to interact with and actually play as Oswald the Lucky Rabbit in Disney Epic Mickey 2: The Power of Two." Like the first game, EM2 is set in Wasteland, an alternate world filled with 80 years of forgotten Disney characters and theme parks. Mickey uses his magical paint brush, Oswald his remote control, which allows him to command electricity. All characters in the game, including Oswald, have voice over, and communicate with the player. Disney claims the game is the first that can be described as a musical. At points throughout the game the characters have to "express themselves in song" to progress the story. You'll hear tunes that change depending on your choices, a mechanic the creators said lets you conduct your own unique soundtrack. Emmy award-winning composes James Dooley and lyricist Mike Himelstein have created these musical elements. The debut Epick Mickey 2 trailer is below.